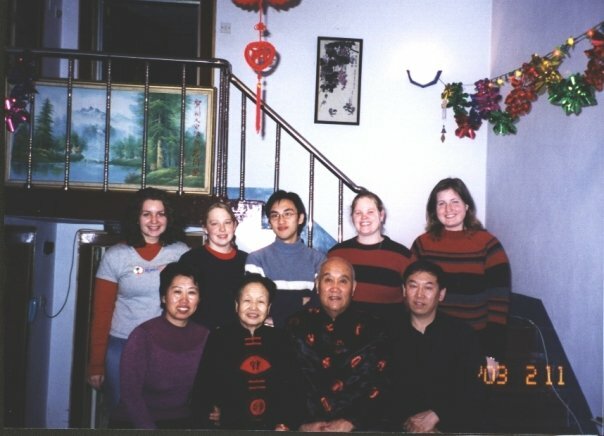 When people find out I lived in China for three years, among their questions is, What's the weirdest thing you've ever eaten? (They should have a category for weird food on Food Network's "Best Thing I Ever Ate", because I'd have all kinds of stories.) 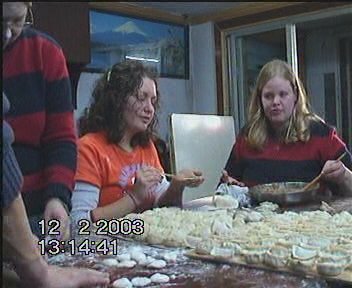 The strangest food I had overseas were things like chicken feet, silkworms, spicy squid on a stick, and a few other things I won't mention, because I don't want to gross anyone out. But for the most part, I really enjoyed the food, although I did miss essential American favorites like peanut butter, tortilla chips, cheese, and many other items that were either extremely expensive, or unavailable unless shopping in special markets in Beijing that featured imported grocery items. One of my favorite dishes they served at a restaurant down the street from the college I taught at was a dish called Di San Xian, which was eggplant, potatoes, and green peppers, in a spicy sauce. I'm not much of a fan of the spongy texture of eggplant, but I ordered this dish over and over for the wonderful flavors. Last year, I tried making it (without realizing how hot the peppers I bought were), and ended up with something drowning in a sauce that was so overwhelmed with heat from the seeds of the peppers, it was completely inedible! Another favorite, and an absolute staple in Chinese culture, is Jiaozi, typically known by Americans as "dumplings". 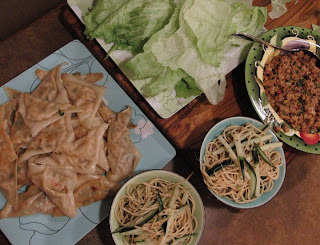 Jiaozi looks simple to make, but it takes a lot of skill. They start with a simple dough of flour, water and salt, kneaded and sectioned off, then pressed into perfectly thin small circles about 5-6 inches in diameter. The filling can be whatever you like--my favorites were beef with green peppers and pork with celery. After putting just the right amount of filling into the center of the circles of dough, they press and crimp the edges together, sealed with a little water. They can be boiled, steamed or fried, and when you get one fresh from a pot of boiling water, the result is an explosion of flavors in your mouth from the broth building up inside the dough as it cooks the meat filling. 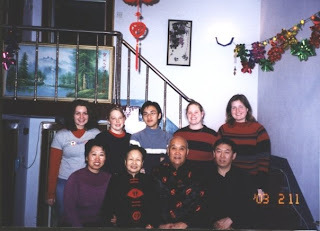 In the winter of 2003, some friends and I were invited to visit the family home of one of our students, Byron, in his hometown of Jilin. Byron's mom whipped up batch after batch of Jiaozi as skillfully as any of the Chinese ladies in the best-known Jiaozi restaurants. Of course, we were recruited to help, although a few of mine tended to break open once they hit the water. Byron's grandfather also showed us how to make cold noodles. This is a very simple, authentic Chinese dish, that you can tailor to everyone's individual tastes; I like to make it in the summer when I don't feel like having something too hot for dinner. Any other vegetables you like! 1. Cook the pasta according to the directions on the box. Drain and rinse under cold water; drizzle with a little oil so noodles don't stick together, and season to taste with salt and pepper (I like to make mine spicy, so I use a combination of black and red pepper). Refrigerate noodles until ready to eat. 2. 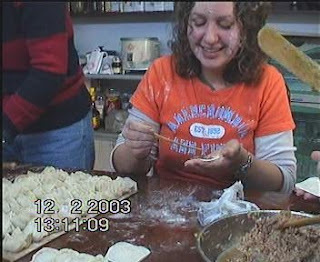 Prepare the rest of the ingredients, and place everything in separate bowls so that people can choose whatever they like to mix with their noodles. 3. In individual serving bowls, add about a half cup of the chilled noodles. Now everyone can take their bowl of noodles and add chicken, vegetables and a dash of vinegar and/or soy sauce. Finish with a sprinkle of sugar (sounds strange, but it really makes the dish!). Using chopsticks, toss ingredients together, eat, and go back for more!